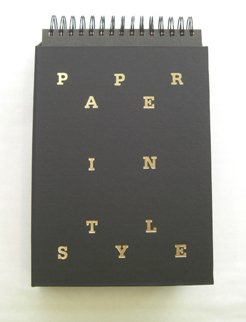 Paper In Style! Out Now! Printed samples of paper, all for sale at Vliegers, now bound in one volume. Check it out and see this fabulous designed piece of art. Designed by Ayumi and Joseph Graduates 2009 at Graphic Design Department.